This bread takes advantage of the sweetness of apple cider, but it isn’t sweet at all, making it the perfect complement to soups, stews, and chilis at the dinner table. It comes together in a few moments, letting you have a fresh-baked loaf ready for when dinner is on the table. It’s a riff off of my Hearty Beer Bread from The Allergy-Free Cook Bakes Bread, which is one of my go-to breads for when I’m busy and don’t have the time to wait for something to rise. Preheat the oven to 375 degrees F. Lightly grease an 8 1/2-inch by 4 1/2-inch loaf pan. Put the flour, baking powder, sugar, and salt in a large bowl. Whisk to combine. Make a well and pour in the apple cider. Mix until combined. The mixture will be thick. Use a rubber spatula to scrape the mixture into the prepared pan. Smooth evenly. Brush with the olive oil. Bake in the centre rack for 50 to 60 minutes, until golden brown and a toothpick inserted in the centre of the loaf comes out clean. Let cool in the pan for 10 minutes. Carefully remove the loaf from the pan and put it on a cooling rack. Let cool about 30 minutes before slicing. Serve warm. Thanks for the comment. There is no apple cider vinegar in the bread, just the apple cider (which you don’t taste pronounced… just a hint of sweetness. I actually don’t like apple cider or apple juice but bake and cook with the former often at this time of year. Thanks! Takes minutes to prepare! 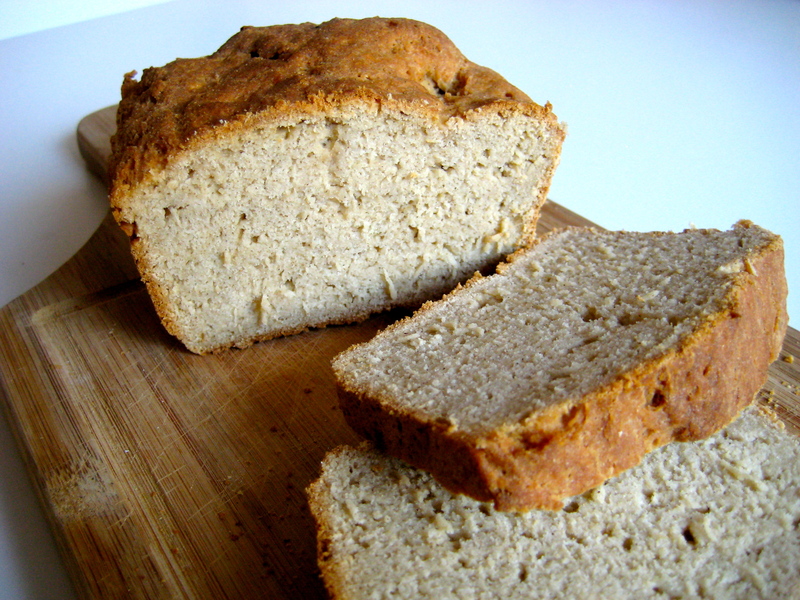 I notice that in the Hearty Beer Bread you use xanthum gum — can it be added to this bread also? How would that change the texture? I’m new to GF baking, and there is so much to learn! Yikes! I can’t believe I missed it in the recipe. Thank you so much. It SHOULD BE in there! I am adding it now. This looks great! One question, you list “1 3/4 plus 2 tablespoons pure apple cider”. I assume you mean 1 3/4 _cups_ plus…, but I just need clarification before trying this. Thanks! I do! Thanks. I have corrected it above. Can you use a sugar substitute in place of sugar? I never bake with sugar substitutes so I can’t guarantee anything. I’m sorry! However, since it’s only 1 tablespoon, I’m sure it wouldn’t affect much. 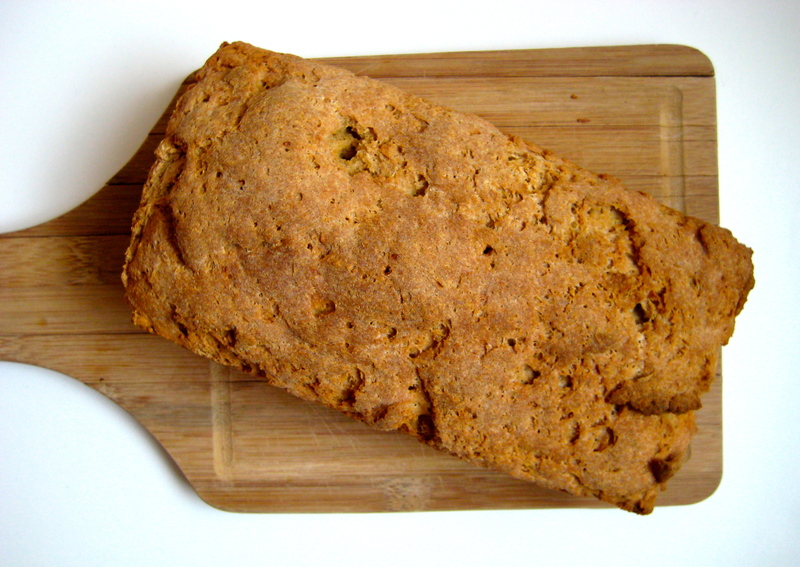 For this apple cider bread recipe, is it possible just to use the sorghum flour? Or does that mess up the recipe? It wouldn’t work for the recipe — the weight, protein amounts, fibre amounts, et cetera would be off-kilter. If you did try that, I definitely would say the recipe would be subpar.